A new development here at Sunbeamland is that we now have a vintage motorcycles for sale section added to the shop. 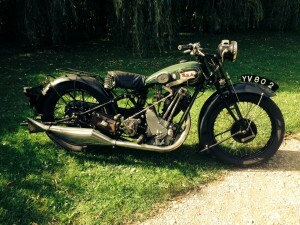 To get the ball rolling we have this rather interesting 1929 BSA sloper. Being 1929 vintage, it is of course eligible for VMCC events such as the Banbury Run. If you’d like to know more, drop us a line and we’ll put you in touch. This entry was posted in Shop and tagged for sale by Dodson. Bookmark the permalink. Do you have any of the Mod 9/90 pistons still available please ?